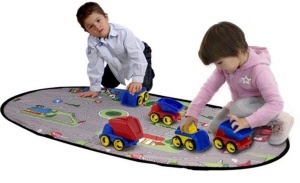 The MiniMobil Traffic Foldable Mat provides kids with a great tool for learning and play, with a foldable design for easy travel and storage. 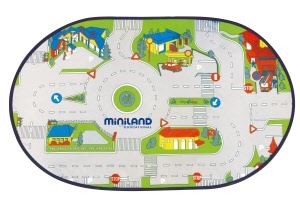 Fold-out design features a detailed township with roads, parks, traffic signs and more. 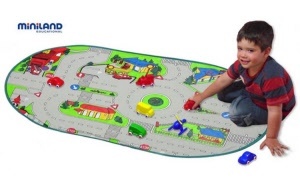 Bright and colourful design creates the perfect setting for fun play and learning about traffic rules. 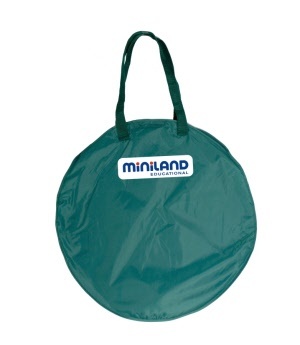 Includes storage case and folds down for storage and easy travel.